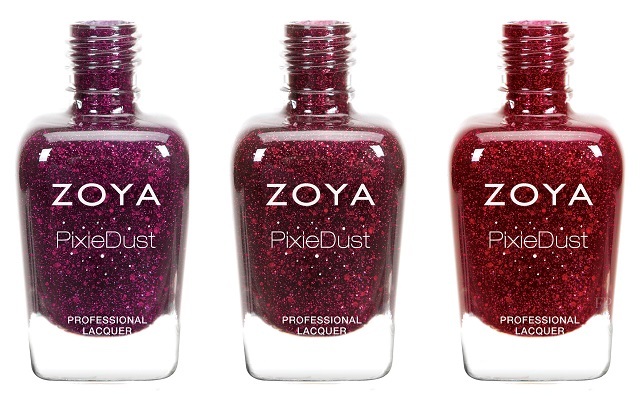 Three shades featuring both fine micro glitter and mega hex particles for tone on tone 3D effects. This easy glam nail is available in 3 shades in a gradient of red, wine and plum hues. No base or top coat required.